*I received these samples in exchange for an honest review for The First Years. Mealtime for my youngest has a new meaning now that she’s learning to feed herself. Gone are the days when she was exclusively breastfed and hello to table food being everywhere, on her face, mouth, hands and on the floor! 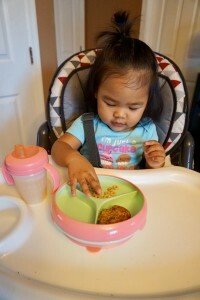 While there are so many new mealtime products for little ones on the market, the one brand that I always went back to was The First Years. Innovative and affordable are the first things that come to mind with this brand. 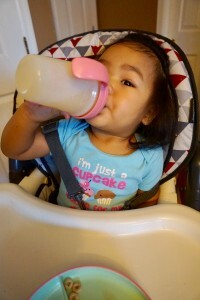 A must have as the first mealtime product I introduce to my kids would have to be sippy cups. All of my kids hated the bottle for some reason, so I was fortunate enough that they went straight from breast to sippy cups. 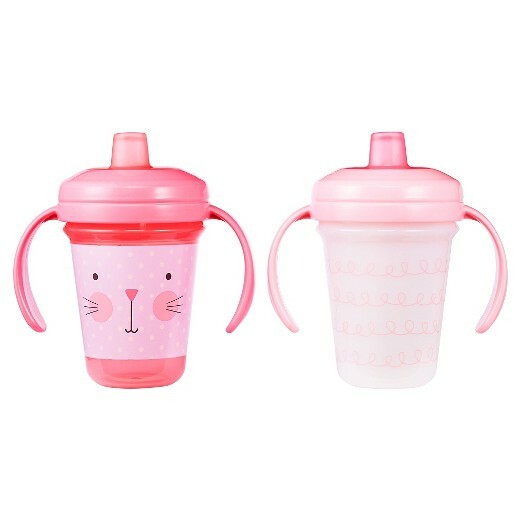 The First Years sippy cups was the first cup I introduced to my 2nd, 3rd and 4th babies since after much trial and error with my 1st, this was the brand she never refused. Target now carries a few that they sell exclusively. 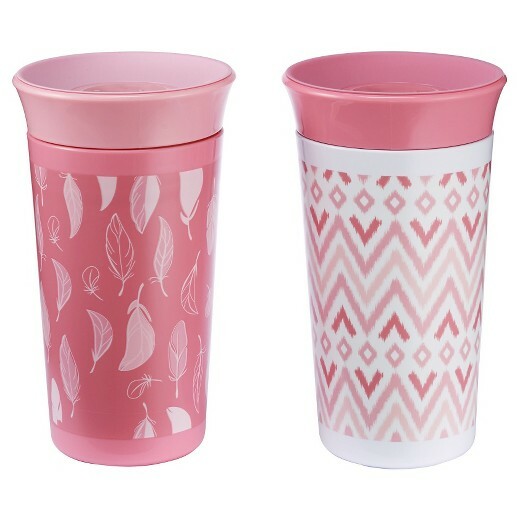 The First Years Simply Spoutless Cup, comes in a 2 pack for $10.99. Pink was my color of choice but it also comes in blue and in trendy designs. Best part is that you can drink from any part of the cup this spill proof cup and it automatically closes tight when they stop sipping. Another cup exclusive to Target is The First Years Stackable Soft Spout, comes in a 2pack of fun designs as well. The soft spout, double handles and stackable feature, make this an ideal must have as baby’s first sippy cup. It’s my daughters current fave! 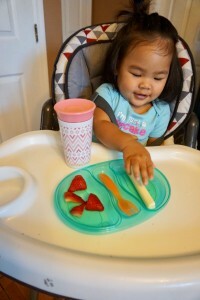 Let’s face it, most of our babies will be eating with their hands independently before learning to master utensils. So my next mealtime must have has to be toddler plates, but not just any plates…ones that they will actually use and not through on the ground. My daughter is at that stage where she will throw anything on the floor in front of her during mealtime. So if I’m going to attempt to teach her to eat from a plate with her hands…for now, having a plate that actually stays put is genius. Not my idea, but The First Years Inside Scoop Suction Sectioned Plate is a product I wish I discovered years ago. The beautiful design makes self-feeding easier since the curved rim helps to guide more food onto forks and spoons. 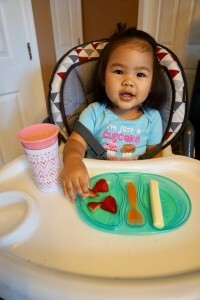 (Although my daughter is still using her hands for now) The suction on the bottom helps avoid the plate from sliding everywhere and the three sections work perfectly to keep food separate…initially at least. 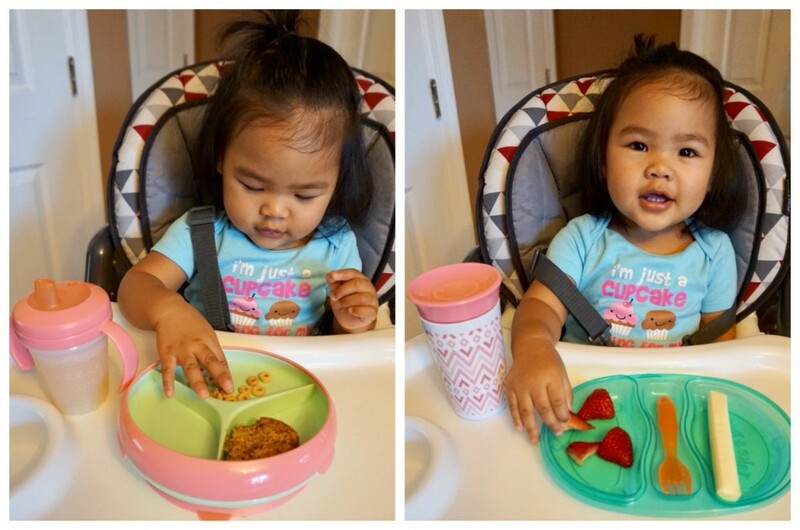 Another cool and innovative mealtime essential are The First Years Take & Toss 4 pk Double Duty Plates. Plates that multitask? Yes please! 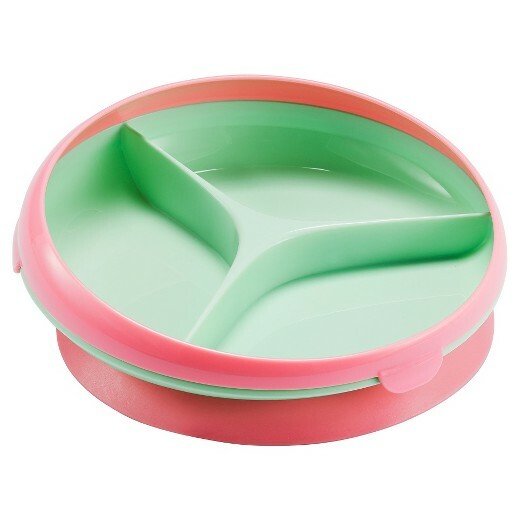 With 4 to a pack, a fork & a built-in utensil compartment…you can use 2 plates to create a leak-proof on the go food container that baby can eat from too! Whether you feed baby at home or on the go, The First Years knows just what us busy moms need. All products mentioned are now available at your local Target.